Christmas Trees and San Francisco city lights! 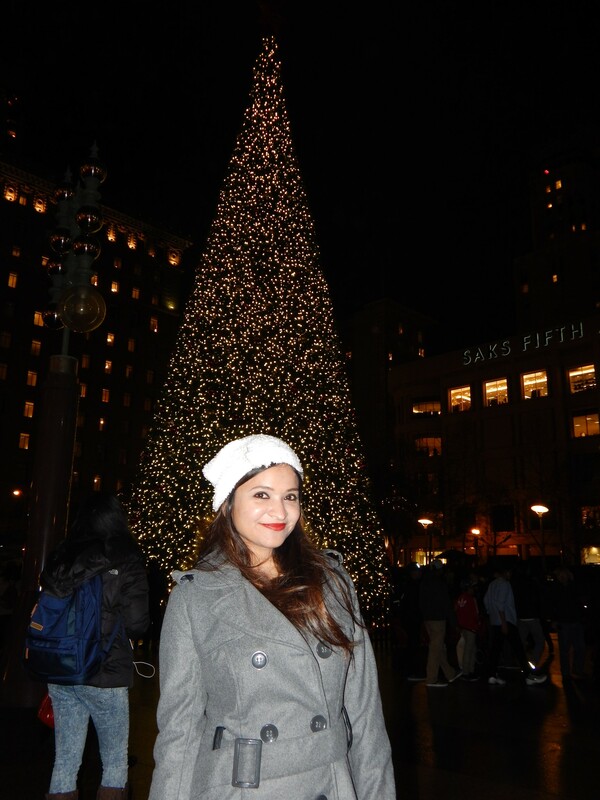 Christmas Trees and San Francisco lights! 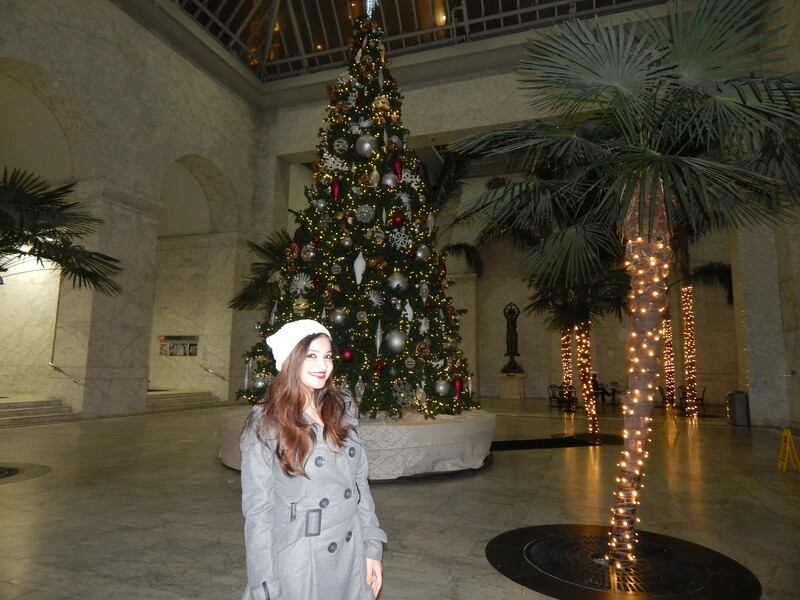 We all have celebrated Christmas for 2015 and the best thing about this festival is that it comes with a bunch of happy moods and vacations and just when you thought that I have written my last Christmas blog, here I come back with my last Christmas blog of the year where I talk about Christmas trees in San Francisco city! Enjoying this season, this time I decided to capture some of my favorite Christmas trees in San Francisco city that you find every year and I myself was surprised by city lights, huge Christmas trees, decorated houses with lights and overall a festive spirit! I can say it out loud that I love this city even more in this month of the year. Also, winter in San Francisco is just as beautiful as any other season. Thinking about Christmas, we first think about either Santa or Christmas Tree. We all love lightening Christmas trees and everyone love to bring them to their houses. In fact, the most wanted gift at last white elephants game I played this month was the Christmas Tree itself! If you don’t know what is white elephants game, comment below and I would love to explain it to you. Surely the biggest and most crowded Christmas tree in San Francisco is the one in Union Square outside of Macy’s. 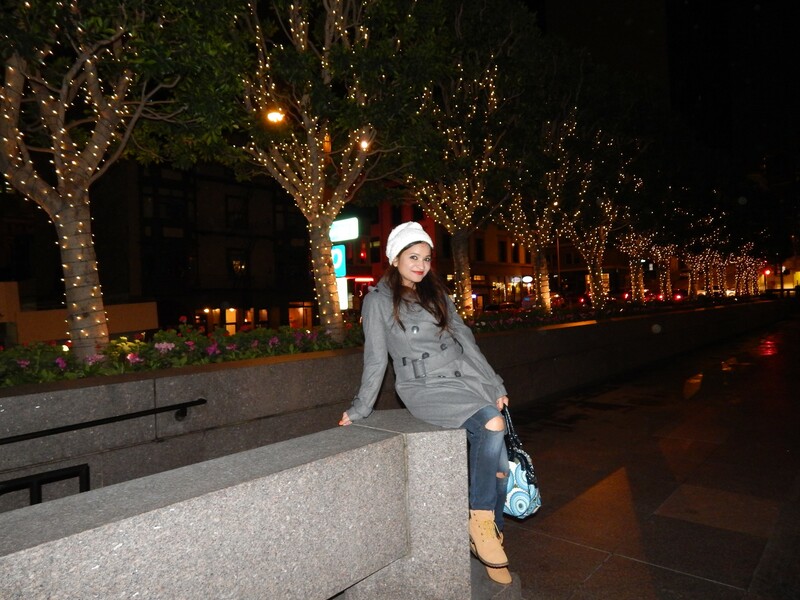 Being a famous tourist place, Union Square is always crowded with something or other happening around. During Christmas month, I love the way Macy’s is decorates opposite to the big Christmas Tree. People come over here from around the world to take pictures and there is also a fun ice skating experience here for those who like it. Some of these Christmas Trees were common for me as they are so famous (doesn’t mean they fail to excite me more!) and some others that I discovered while walking around the street. At the Intersection on Kearny and California street, I found two huge Christmas trees which was worth taking pictures with. Also, entire California street was glowing with lights. Then, there was one outside of City Hall in Civic Center Plaza. I ended up taking more pictures with city hall than with the tree in front of it! Ghirardelli square is another fun place where you can find Christmas trees and lights.